There are several ways to write your Pen-Pal! Feel free to hand write or type letters and send them in the mail. We recommend international penpals use Jmail or Corrlinks. As we mention in the guidelines, strive to write your pen-pal(s) at least twice per month. Whichever method you choose, be sure to include your return address in the letter (some prisoners do not receive the envelope). Write them a letter in the mail! If you live in the US, this is the simplest way to go. Have terrible hand-writing? Try typing and printing your letter (and why not paste in a few pictures of neat things?). Check out guidelines for address help. JPAY: Prisoners in many states including TX, OH and PA can be emailed for the cost of a stamp. The mail room then prints out the email (probably reads it) and within 2 days and gives it to your penpal. Your penpal will then send you a reply letter in the mail. JMail: Will email your letter to any prisoner, and email a scan of their handwritten letter back to you for $1 per letter, plus $25 annual fee. Corrlinks: We are currently working on creating a list of Federal prisoners who can use Corrlinks. Federal prisoners only can pay to access the world’s worst email system. 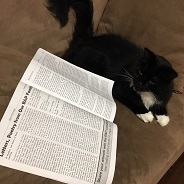 It will alert you when you have a message in your inbox. Most of Black & Pink’s incarcerated members, and likely your penpal, are in State prisons where Corrlinks does not work. Step 4: Write Your Pen-Pal! BONUS Step 5: Recruit Five Friends to Be Pen-Pals, Too! 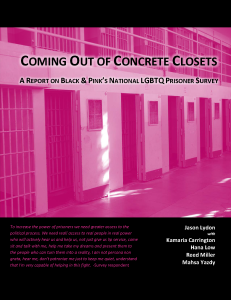 Black & Pink relies on our free-world network to spread the word about the importance of writing to LGBTQ prisoners. Thousands of our incarcerated members still do not have a pen-pal. Tell your friends in person, via text, on Facebook, Twitter, Tumblr or email! Get together for coffee and write letters to your pen-pals together! 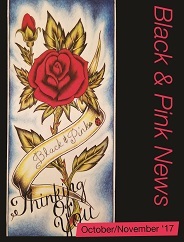 The Black & Pink Extend Family thanks you.